Due to be released later this Spring is a 1/72 kit of the French take on the iconic DH Vampire, the S.E.535 Mistral. 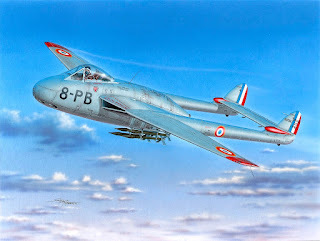 This model is curently being prepared as a turnkey project for our French partner, based on our earlier Vampire kit. 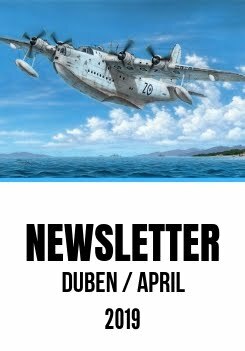 As it always is with Azur-Frrom models, the complete production is bound to go to France exclusively, and only a limited bunch of kits will be released for Czech domestic market. One of the marking options in the kit is machine 8-PB which you can see in the boxart painting, fabulously prepared by Standa Hajek.